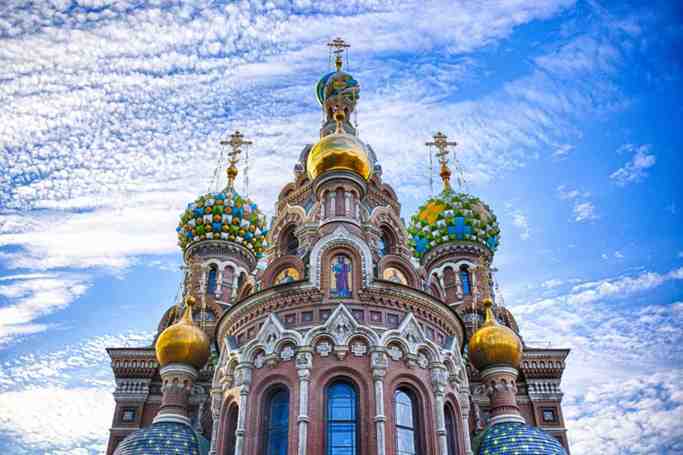 Experience the cultural highlights of St Petersburg on a 3-hour walking tour with a guide. As you explore the spectacular city on foot – from Palace Square to St Isaac’s Square – you’ll learn about its imperial history and view prominent landmarks along the way. See St Isaac’s Cathedral, stroll down Nevsky Prospect, and pass the Summer Gardens and the Field of Mars on the way to the most famous church in town. Enjoy personal attention from your guide on this small-group tour, limited to 12 people. - As we stop at a few cathedrals during this tour, we might encounter a few services along the way. If this happens, we'll find an alternative route for the tour. Start your St. Petersburg tour from Palace Square, which is dominated by the Winter Palace. Next, you'll pass the palace where the famous Beef Stroganoff dish was invented and continue towards St. Isaac’s Square, to see its beautiful cathedral. Get the inside scoop behind the architectural flourishes on this gorgeous building, and discover how it has been used over the centuries. You’ll also see the bronze horseman, a symbol of St. Petersburg. After crossing the Neva River, stop at a favorite local spot from which you can enjoy panoramic views of the Palace Embankment with its renowned Hermitage Museum, and many prominent St. Petersburg landmarks including St. Isaac’s Cathedral, the Admiralty, and the Chamber of Curiosities. With your local St. Petersburg guide, you will pay a visit to the oldest structure in the city, and the site where the town of Peter started in 1703. The cathedral located here became the burial place of the Russian emperors and members of their families, from Peter the Great onward. A visit to the cathedral is optional here, but it's well worth taking a peek. Pass the Summer Gardens and the Field of Mars on the way to the most famous church in town. The church was built on the spot where the Russian emperor Alexander II was assassinated in 1881, and here your guide will tell you the infamous story of how this historical event unfolded. 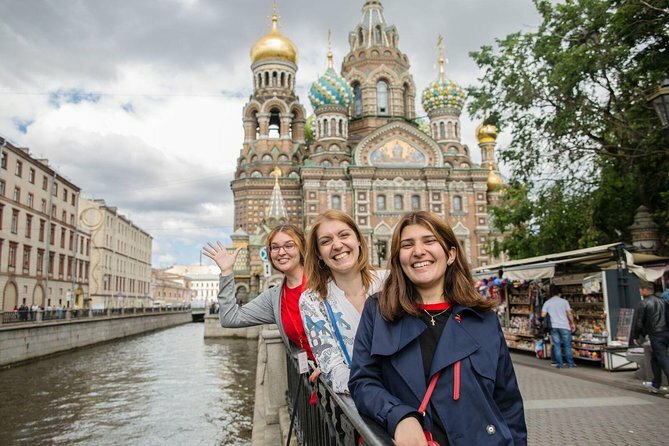 Continue along St. Petersburg's busiest street, home to restaurants, theaters, museums, and ornate palaces of the ex-Russian aristocracy, learning more about St. Petersburg from a local perspective along the way. All that fresh air and walking will no doubt spark your appetite, so you’ll finish off the tour with a stop for food. Break for lunch in a typical Russian joint to try a traditional dish like borsch (soup), blinis (pancakes), or Beef Stroganoff. It’s here in the café that your tour will end, but you can linger as you like and relax and chat with your guide in the warm, cosy atmosphere. If you cancel at least 4 day(s) in advance of the scheduled departure, there is no cancellation fee. If you cancel within 3 day(s) of the scheduled departure, there is a 100 percent cancellation fee. One of the Best Walking Tours I had. Anna the Tour Guide was great and I had a wonderful time discovering the beauty of Historical Russia during the reign of the Tsars. I highly recommend it. Kate was an amazing guide, very friendly and considerate esp because i was carrying a sleeping 2 year old toddler while it snows and walking around town. This was a very nice tour and we learned a lot. This was the best day ever. First time in St. Petes and this tour made me want to come back. Anastasia was an amazing tour guide. She was so knowledgeable about her city and the passion she has is contagious. I got to see all the highlights of the city and made some friends along the way. I was so impressed with Urban Adventures that I signed up for their evening off the beaten path tour. And Anastasia was the tour guide again. This tour is a must for anyone looking to learn about the weird or not so touristic part of St Petes. Anastasia does not disappoint. I can not wait to visit again. The two of us were so lucky to have had Maria to ourselves for a very interesting and enjoyable 3 hours of walking discovering St Petersburg followed by a local meal in a pub we would never have found on our own. We did the morning walking tour with Anastasia and loved it! Anastasia was kind, funny and knowledgable. The tour was a great introduction to st Petersburg, topped off with a delicious meal at a local resturaunt. We enjoyed this tour so much we ended up doing the evening walking tour as well. Marie was a most delightful guide, cheery and enthusiastic. She was quite knowledgeable and obviously loves her city. Her English is excellent. While the weather was foul, she came prepared with extra umbrellas. Maria is a very knowledgeable, friendly guide. 5people were part of this Walking tour which included a local lunch. We could not have asked for a better guide. We were delayed leaving the ship as shuttle would not run until it was full. We missed the beginning but she came to get us. Well worth it! This ended up being a one-on-one tour, and we changed the route because it started raining and I got a partial subway tour which was an added bonus. My tour guide, Anastasia, was very knowledgeable and take pleasure in pointing out the little things that most people wouldn't notice and it really gave a sense of the long history of this amazing city. And I bet if I wanted to take this tour again, she could take me on a whole different tour that would be just as interesting. The actual walking tour was pretty good in terms of the sites seen. However, the guide was inexperienced and just spouted basic facts with little insight. In addition, the included lunch was late and the food second rate.